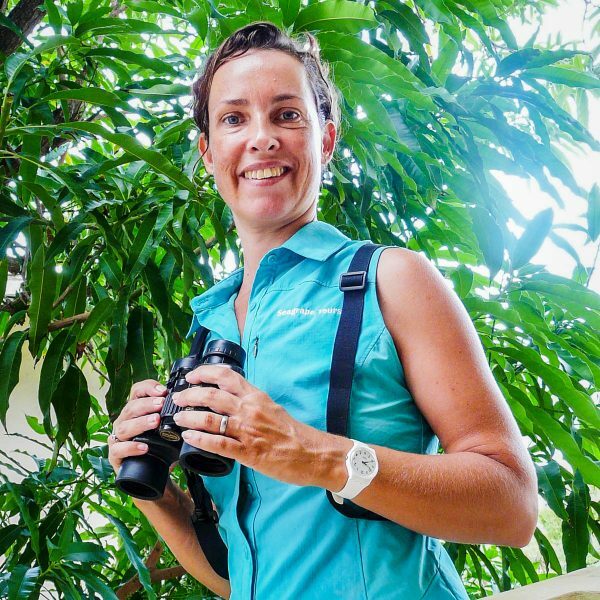 Ilja Botha will be presenting at the 2016 Migratory Bird Festival on her experience with birding and nature tourism and giving you the inside scoop on all the best spots to go birding on St. Martin! Birdwatching tour guide Ilja Botha is born in The Netherlands and moved to St Maarten 8 years go. Her love for all things nature she inherited from her mother who pointed out and named every bird, bug and flower they came across in her youth. Until the beginning of 2016 Ilja worked in sales and marketing in the local scuba diving industry, she recently quit her ‘normal job’ to be able to fully focus on Seagrape Tours, an eco tour company she runs together with her husband David Botha. Ilja is a great example of how we can depend on nature as our livelihood and is a passionate advocate of the preservation of St Maarten’s nature, historical sites and birds.